Comfort, warmth, natural charm and expressiveness of natural wood have always been in demand. Wood often defined the design of furniture and interiors. Walls lined with wood are becoming more and more popular addition to various types of wooden flooring. 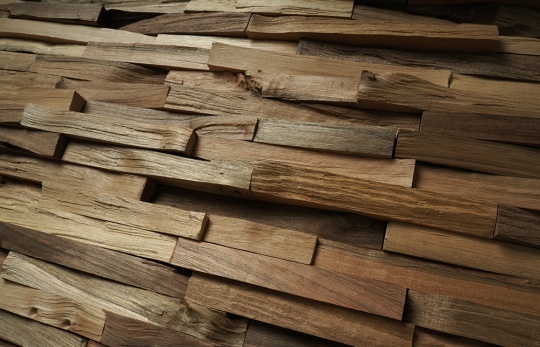 Pavlovskiy Parquet offers a wide range of decorative wall panels made of wood in various variants. The main material was oak, we added to it other species of wood, such as ash, maple and maple "thermo". The panels are covered with oil, easy to install both in the new and in the existing interior. The Pavlovsky Parquet company, in our time of stress and anxiety, will help to create the desired comfort for you, to make a direct connection with nature in your house. Material - oak, ash, ash "thermo"
The length is 960 mm. The width is 98 mm.